José Antonio González is the Executive Chef at the Barceló Renacimiento Hotel together with Laurentino Jiménez. José Antonio inaugurated this hotel as chef during the Expo in 1992 and since then he has been in charge of the kitchen and catering areas for no less than 24 years. Laurentino is the pastry chef and after travelling and working in different countries, for example, Shanghai and working with emblematic hotels such as the luxury collection hotel Alfonso XIII, he is now responsible for the hotel’s confectionary. Under the direction of José Antonio, a team of 30 kitchen and waiting staff are doing everything possible to enchant the palates of our clients. 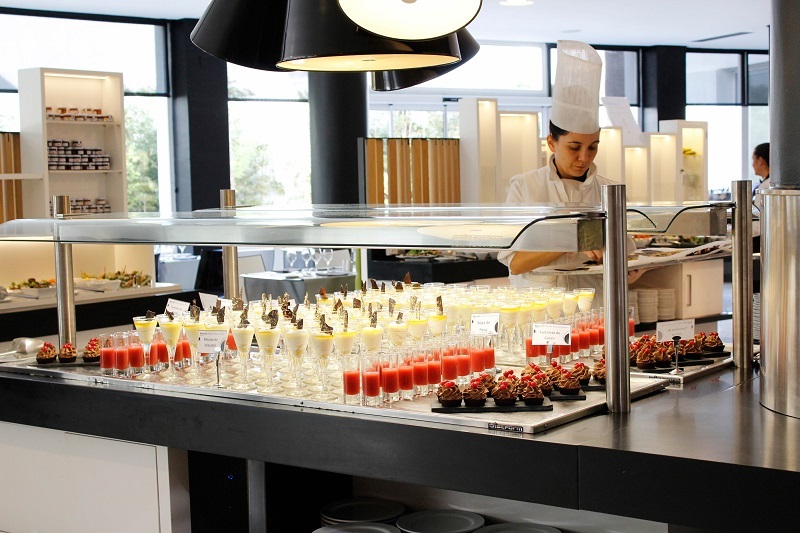 With regards to the catering at the Barceló Renacimiento, what aspect requires most of your attention? Undoubtedly, our greatest concern is that the products used in our kitchen are of the highest quality. Nevertheless, it is equally important to innovate and take the utmost care in the presentation of our dishes to enable us to pass on the devotion and passion we put in each one of them to our guests. Regarding the hygiene and techniques used in handling food, we need to highlight that this is another very important aspect that we take seriously. It is extremely important to us as well as essential to our clients that we guarantee the safety and quality of the ingredients we use to prepare our dishes. We ensure that all our food is prepared to an extremely high standard under the best possible conditions. What type of cuisine do you think characterises this particular hotel and what are the client’s requests regarding gastronomic themes? Both Laurentino and I agree that our cuisine does have Andalusian roots but the international character of our hotel means that we also need to adapt and therefore respect the tastes, preferences and cultures of all our clients. Our kitchen has seen menus from all around the world, including Oriental, Indian, Italian and Mexican, to name just a few. Whilst we are on this particular subject, we would like to tell you about a themed dinner we had to prepare for one of the latest events celebrated in this hotel, named “destinations dinner”. During this event’s gala dinner, a video mapping that featured visits to many different countries was projected. In co-ordination with this virtual trip around the world, the menu for the gala dinner was themed with local dishes from each of the countries visited in the mapping. This is just one example of the importance of the catering service at an event and also goes to show that gastronomy itself, plays a crucial role in offering the guests an unforgettable experience. The Barceló Sevilla Renacimiento is a hotel of reference for the organisation of all types of events. When arranging, for example, coffee breaks, cocktails or dinners for large events, how do you handle and prepare a banquet for 1000 guests? The success of the catering for an event lies primarily in team organisation and preparing all the raw ingredients necessary for the different courses during the event in advance. Before a large event, we organise ourselves into different teams and familiarise ourselves with the needs of the client as well as the number of meals to prepare throughout the day and the number of guests attending. Then we place the necessary orders with suppliers who we deem reliable and where we can assure that the quality of the products they supply is of the highest quality. Once an order is placed with the suppliers, each member of the kitchen staff is assigned a task and a briefing of the menu is held to decide on the specific responsibilities of each member of the team. To cater for events of this size, our kitchen staff will have already prepared approximately 60% of the dishes several hours in advance where the dishes are then preserved in temperature controlled storage rooms until they can be finalised and served. Do your clients in the MICE sector appreciate the fact that they can rely on a gastronomic experience that is adapted to the needs of clients with special dietary requirements, for example, diabetics, vegetarians or coeliacs, or is it something only individual tourists take into account? In our hotel it is important that we engage with those clients suffering from food allergies or intolerances, as well as those clients that require different diets such as vegetarians and vegans. For example, when organising an event, the commercial team will be in contact with the client to establish the number of attendees as well as to ascertain any specific dietary requirements, for health, cultural or religious reasons. For those attendees, an alternative menu is prepared that is adapted to their own individual specific requirements. Additionally, the client can request, in order to address all and any specific dietary requirement, that the dishes provided by our kitchen only include ingredients that are deemed suitable for all attendees. Not only do we take into account the food intolerances of the MICE client, we also bear this in mind when it comes to individual tourists. On one occasion, we had a young girl as our guest who was allergic to so many different ingredients that we had her mother in our kitchen supervising the preparation of the dishes. What is the most important aspect to bear in mind for a kitchen to be managed efficiently and to function properly? For a kitchen on such a large scale as the one in this hotel, it is of paramount importance that the entire team is well organised and can work effectively as a team. It is also important that the coordination of the other departments of the hotel runs smoothly in order to be able to have all of the information our kitchen staff may need to satisfy the requirements of the client. At the same time, it is very important to take care of the finest of details. The event starts from the moment the client first visits the hotel and it is of paramount importance that we meet the client to ascertain their requirements, understand their tastes and adhere to their preferences so that we can offer up a culinary experience that will not only delight but will also exceed the expectations of the client. 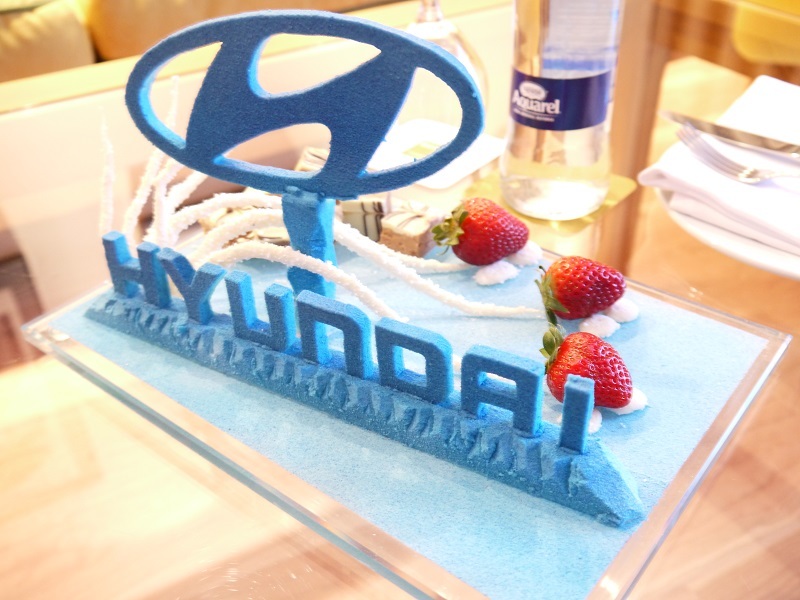 What is the role of gastronomy and catering at an event and to what extent can it be personalized with the client’s brand? Gastronomy customisation for an event is a specialty of this hotel. We know how to combine and communicate the brand of the client through our gastronomic offerings and menus that, for example, will highlight the corporate colours of the client or through dishes that take a journey through their history. Due to the very fact that we have distinguished ourselves in this regard has even led us to create a gastronomic guide that can be consulted in order to design gastronomy specifically in line with the corporate colours of a particular brand. The role of our confectionary/pastry team in customising is also essential. Barceló Sevilla Renacimiento is one of the few hotels in Seville that can count on a pastry team that actively engages with a client during an event to be able to satisfy every “whim”. On one occasion, for the brand Renault, we elaborated an “electric dessert” for the presentation of their first electric vehicle. To this end, we created a dessert together with “Peta Zetas” that delighted our guests with the sensation of having electricity in their mouth when tasting it. Our client was very pleased and surprised with the presentation of the product and our way of translating the essence of the brand through gastronomy. 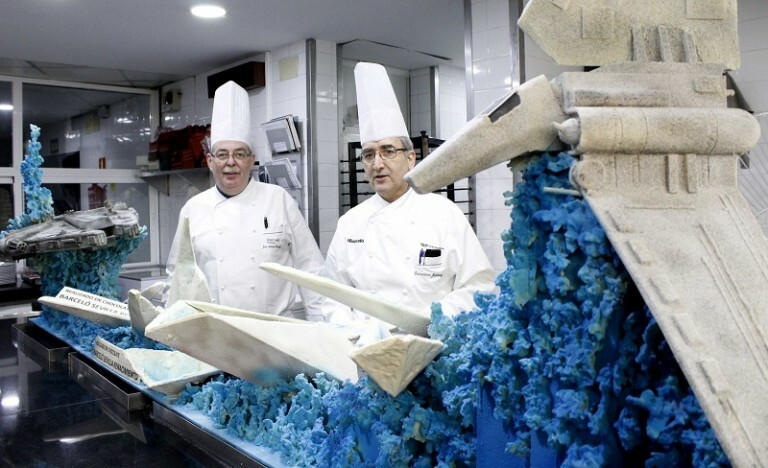 How do you reinvent yourself at the culinary department of Barceló Sevilla Renacimiento? Every day we start with a clean slate, because our culinary creations of the previous day are no longer valid, that is the key to reinventing yourself. The art of cooking is very ephemeral, only lasting until the client takes the first bite. Every dish and every menu is something completely new. Could you tell us an anecdote regarding the cooking for an event? With great affection we remember a time when a lady entered our kitchen together with the manager and started dancing “sevillanas”. After which she asked us to create a cake inspired by the dance we just had the honour of witnessing. The Events most difference concept presenting catering inspire destination those are most different blog .